Section II Part B: Long Essay | 1 Question | 40 minutes | 15% of Exam Score. Explain and analyze significant issues in world history; Develop an argument supported by your analysis of historical evidence. 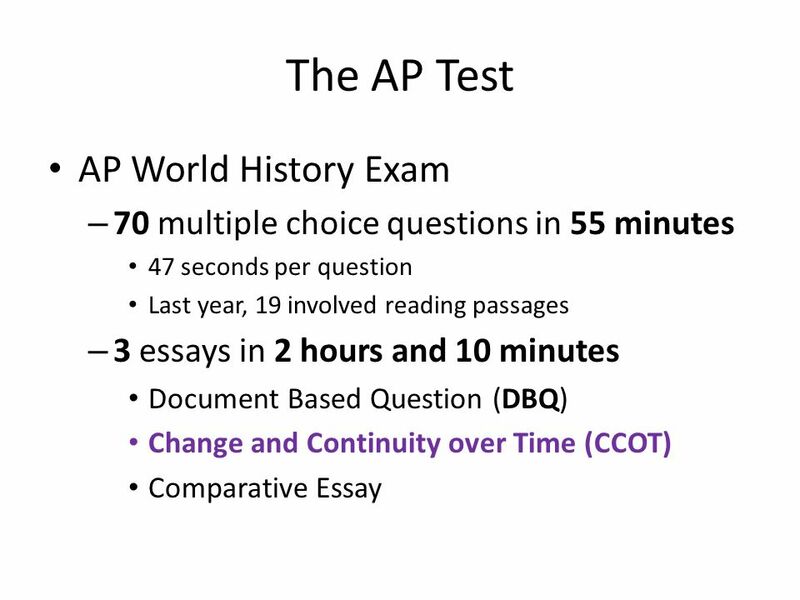 You'll select from one of three essay choices, each focusing on the same theme and skill but different time periods:.